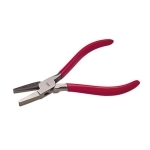 Precision quality box-joint pliers for all bending applications. Comfortable grips with precise alignment. German-made total length 5-1/2".